An important part of the online LMS setup process is managing users. If you have been running your business for a while or if you are migrating from another LMS, chances are, you already have a user database that you would like to retain. Can different users have different privileges inside my LMS? Yes indeed! 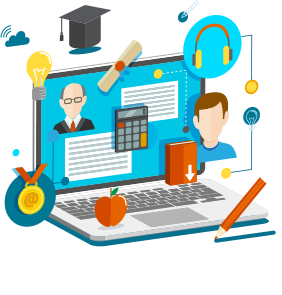 ScholarLMS gives you options to setup custom roles and responsibilities inside the LMS. This means that you can assign your staff, your faculty, your system admin and your support staff different privileges inside the LMS – that means they are allowed to perform some actions and are restricted from performing some other actions. And with this tool, you have nearly infinite possible configurations so you are sure to find the perfect set of restrictions and privilege you want for your team. There are many standard roles that you can start with – a manager, an admin, a teacher, a non-editing teacher, a student a guest and so on. Can I import my previous user database? Of course! Not only can you import all your previous users to ScholarLMS, our experts will also help you in the migration process by helping you import all the data in a usable format so you are ready right from the get go. But is the user/learner enrollment process too difficult? Absolutely not. On the contrary, it is quite easy and a lot of it can be automated. ScholarLMS being an online learning management system, allows you to link your user enrollment to your course catalog (which you can learn about here) or your website 'shop/store' page and can be configures that learners are automatically enrolled to the course they purchased upon successful processing of the payment. Alternatively you can manually enroll students on your own one by one or bulk enroll students using a CSV file. Basically, ScholarLMS gives you the flexibility to suit the needs of your particular application. Start for free. No credit card required. Cancel anytime.